I am a nurse. I want to experience letter. 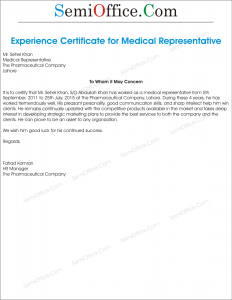 Below we are providing your required nursing experience letter and staff nursing experience certificate sample format as per your requirements. Please feel free to ask for any changes or improvements. In future we will also provide work experience certificate sample for staff nurses. Maintaining the medical and diet record patients under medical supervision in duty wards. Making sure the timely observations of patient’s biomedical readings. Coordination with purchase staff and scheduling of nursing staff in ICU/CCU wards. Making urgent preparation to tackle with the emergency situations. Coordination with the On Duty doctor and shift staff for smooth routine operations in the hospital. She has been witnessed completely compliant with her duties with positive attitude during her tenure. With due respect, i am working here from last five years, now i want to move my work to other hospital, but before to leave i want reward on behalf of my services in form of experience letter. We are pleased to verify that Miss Maria has been working for this hospital for three years, from 1st April ___ to 30th March ____ in the acute patient care department. Her duties included the maintenance of record of admission and discharge of patients, assessment of patients’ medical data, and assisting senior doctors in surgical operations. During her tenure here, her conduct has been exceptional. She is a dedicated, hardworking and self-motivated employee and avid member of our team. She has in depth knowledge of her profession and has proved that she can work under pressure in fast paced dynamic environment. She will surely prove an asset for the team which she joins. We wish her best of luck for her future appointments. 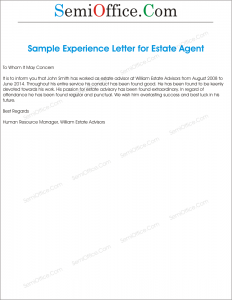 Sample experience letter for special person, special child, special volunteer, special trainee, special trainer or with any other special needs. 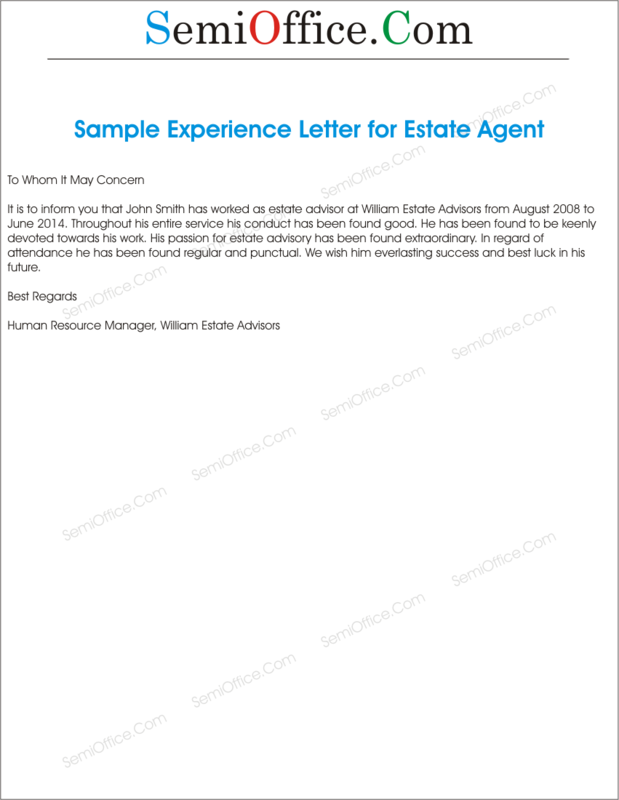 Experience Letter for Disabled Person is available for download. Mr. Shazad Ali has been volunteering at our agency for three months. He enjoys organizing bookshelves, and can do so by color, shape and binding style. He has also helped with mass mailings, and can fold, stuff and tape envelopes/staple envelopes. He can follow multi-step directions. Further, he is also able to use a paper shredder, but may require some supervision to prevent paper jams. Mr. Shazad Ali takes pride in his work, and enjoys helping others. I am confident that he will make a personable volunteer wherever he chooses. 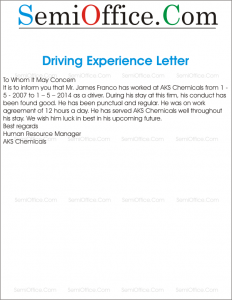 Sample job experience letter for medical representative in a pharmaceutical company, medicine company, laboratory, medical sales agents ete working in your company. 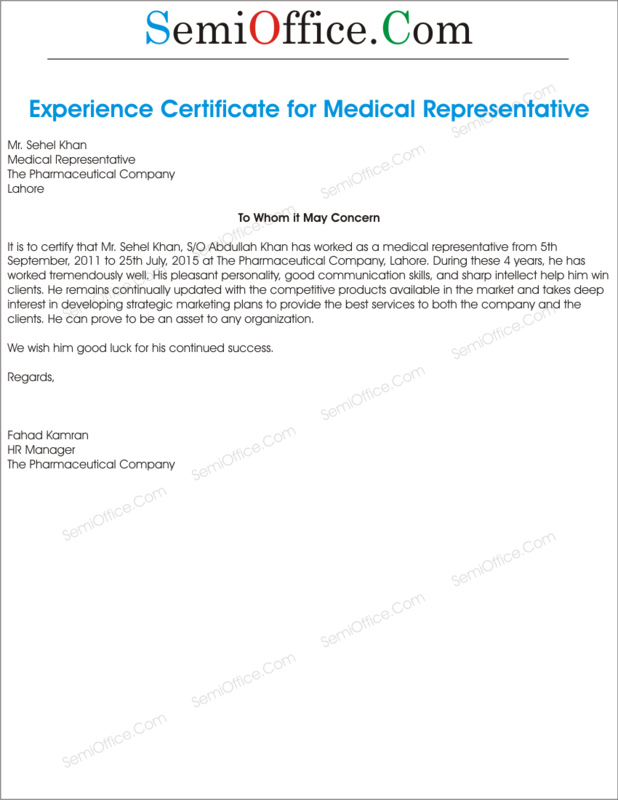 It is to certify that Mr. Sehel Khan, S/O Abdullah Khan has worked as a medical representative from 5th September, 2011 to 25th July, 2015 at The Pharmaceutical Company, Lahore. 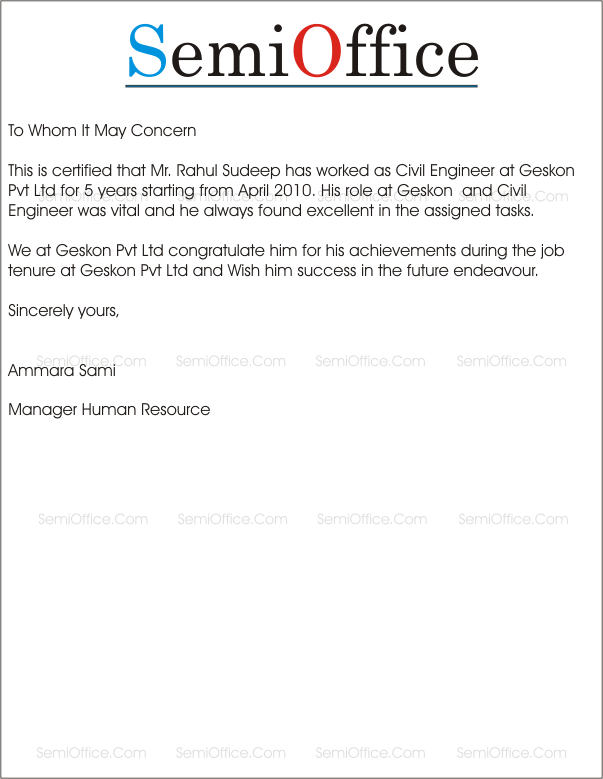 During these 4 years, he has worked tremendously well. 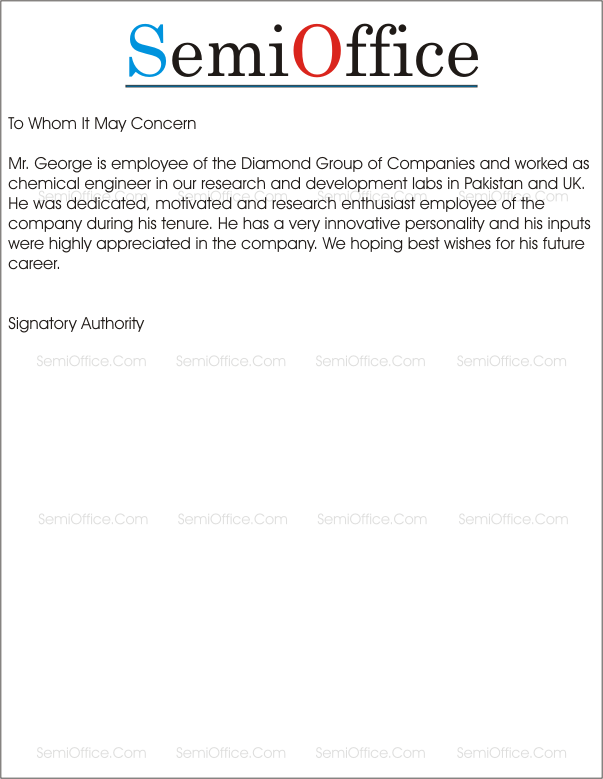 His pleasant personality, good communication skills, and sharp intellect help him win clients. He remains continually updated with the competitive products available in the market and takes deep interest in developing strategic marketing plans to provide the best services to both the company and the clients. He can prove to be an asset to any organization. 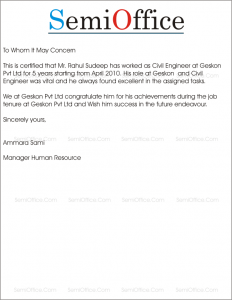 We wish him good luck for his continued success.